The wait is finally over. Thirsty Monk Denver opened their doors to the public yesterday. We are so happy to welcome them to our local craft beer scene! Thirsty Monk arrives in Denver with a strong reputation as a brewer of Belgian-Rooted Modern Ales and operator of world-recognized craft beer bars. Founded in 2008 in Asheville, North Carolina, Thirsty Monk currently operates four locations in Asheville. More recently they expanded to add Portland, Oregon’s Bazi Bierbrasserie to their portfolio. 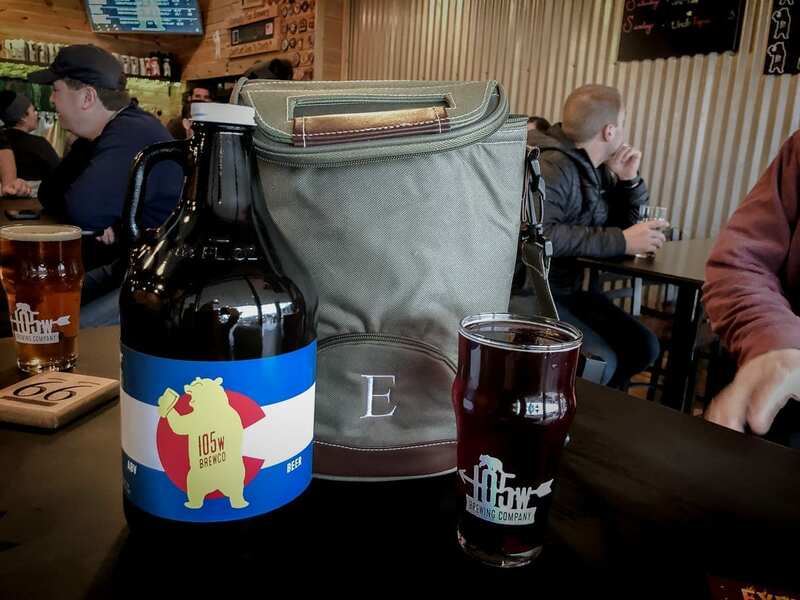 This Denver brewery and tasting room is Thirsty Monk’s only location in Colorado. Why Bring Thirsty Monk to Denver? “There is a such a strong Colorado – Asheville connection bound by beer. As several Colorado breweries have chosen to make the Asheville area their second home, Thirsty Monk is thrilled to be the first North Carolina brewery to make Colorado its second home. And Denver’s City Park neighborhood now truly does feel like my personal second home. This is absolutely where I would live,” says Barry Bialik, Thirsty Monk CEO. With the move to Denver, Brian Grace has joined the Thirsty Monk team as their Head Brewer. Grace brings years of brewing experience from breweries such as Crooked Stave Artisan Beer Project and Jolly Pumpkin Artisan Ales. Grace will brew Thirsty Monk’s core, seasonal, specialty, and side-project beers in Denver. He is also spearheading the creation of the brewery’s upcoming sour and barrel-aged programs. While Asheville may be Thirsty Monk’s home, there is a definite goal to keep the Denver site local. 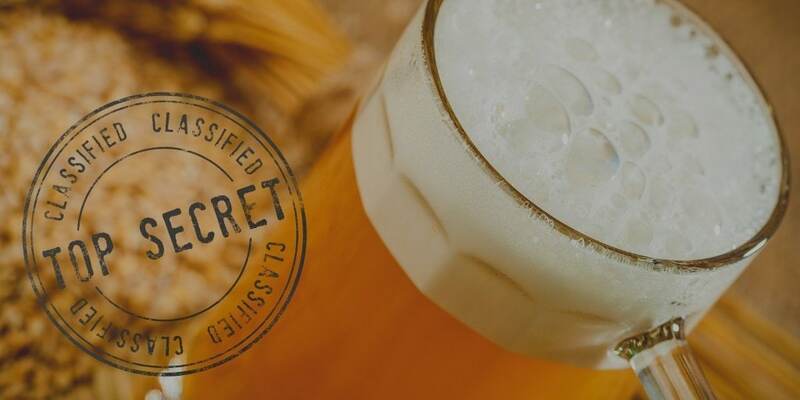 The plan is to source brewing ingredients locally whenever possible. Furthermore, most of their Food Flight snacks are prepared by local Denver neighborhood restaurants using fresh, seasonal ingredients. Thirsty Monk Denver is located on 17th Avenue in the former home of Deep Draft Brewing. While Thirsty Monk purchased the brewery turnkey, they completely redecorated the interior to better fit their brand. There are already plans to expand the 12 barrel brewhouse into some neighboring vacant space. Beers brewed in Denver will be shared with the other Thirsty Monk locations, and Denver will serve beers brewed at the other brewhouses as well. Currently, you will find Thirsty Monk’s lineup of flagship ales on draft in Denver. On Friday we attended a sneak-peek media event at the new Thirsty Monk. We were really impressed with the look and feel of the tasting room, but even more excited about the menu. There are a good variety of beers available, including many great options even if Belgian-style beers aren’t usually your thing. We tasted several Thirsty Monk beers and loved every one of them. The Screaming Monk IPA and Farmhouse IPA were great beers to pair a love of Belgian-styles with a love of hops. The Must Love Coconut IPA and CocoNorm Porter were both deliciously tropical, perfect for a sunny afternoon on the Thirsty Monk patio. Finally, the Cherry Gose was incredible, with its beautiful ruby red hue and perfectly tart cherry flavor. 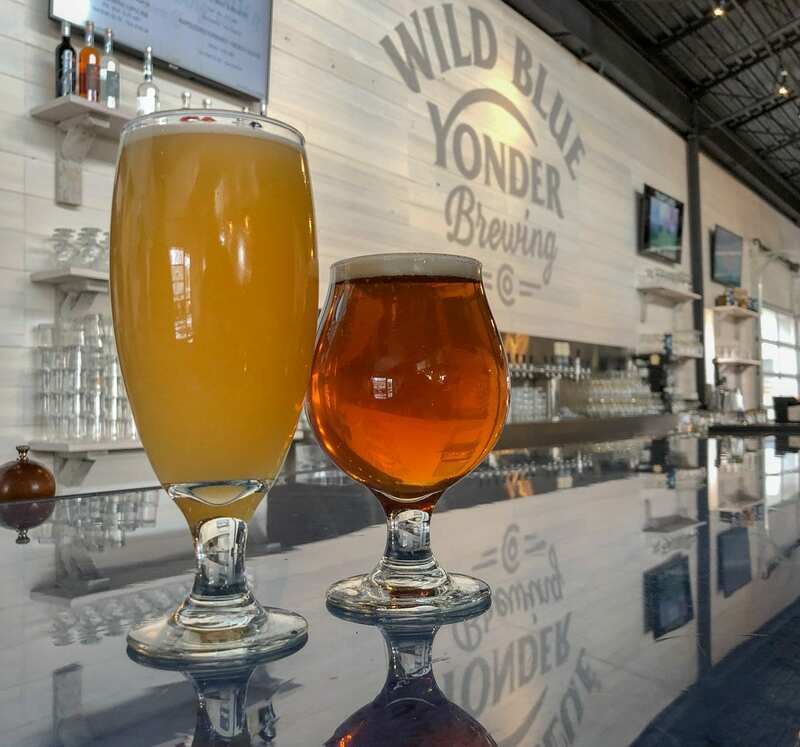 This Denver brewery opening is also the launch of Thirsty Monk’s Food Flights, selections of small, snack-sized bites expertly curated by Certified Cicerones to pair perfectly with your chosen beer style. Thirsty Monk offers six Food Flights: Belgian, Light, Medium, Dark, Sour, and Hoppy. Each Food Flight contains four food categories: a protein, a cheese, a grain, and a preserve. Many items are sourced from local neighborhood restaurant partners, Olive & Finch, Jack’s Uptown Grille, Patxi’s Pizza and Humboldt Farm Fish & Wine. Of course, bacon pairs with everything. If you get the chance, we highly recommend the Thirsty Monk candied bacon, which is as yummy as it sounds. When in doubt, always choose bacon. Thirsty Monk is located in along Restaurant Row on 17th Avenue. Stop by for beers and a few bites, and then walk to any one of the wonderful nearby restaurants for a full night out. Thirsty Monk’s Denver brewery and tasting room is open Monday – Thursday from 4:00 p.m. to Midnight; Friday & Saturday from noon to 1:30 a.m.; and Sunday from noon to 10:00 p.m.